It's been a busy few weeks here in Alba - thoroughly enjoyable and over-indulgent, it was great to reconnect with friends over good food and wine. With a definite change in the weather from winter to spring, it's great to see the return of Agretti. Much loved by Italians, though slowly showing up elsewhere, they are still greeted by a questioning glance. You'll see them most commonly called either Agretti or Barba di Frate (Friar's Beard), in the UK you might see them called Saltwort - their scientific name is Salsola soda. They look a bit like chives and are sold in bunches as you can see in the photo. They come with the root attached and really need to be used quite quickly. 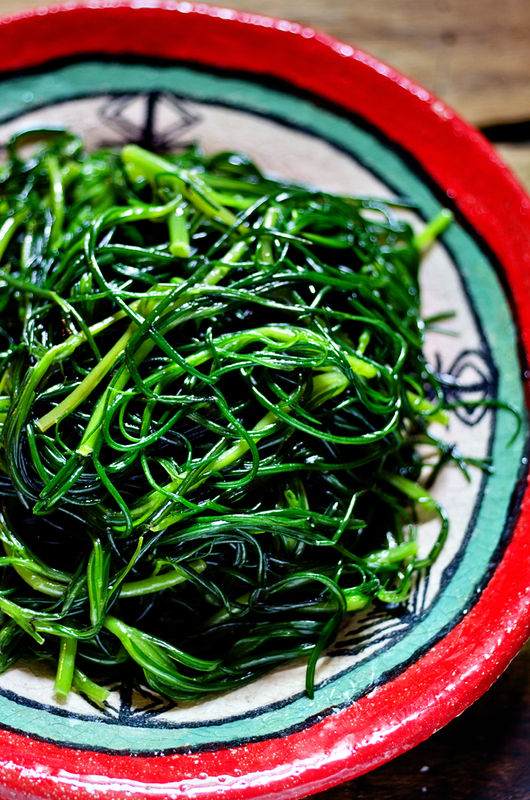 Agretti can be eaten raw or cooked. You'll first need to wash them well and remove the roots. 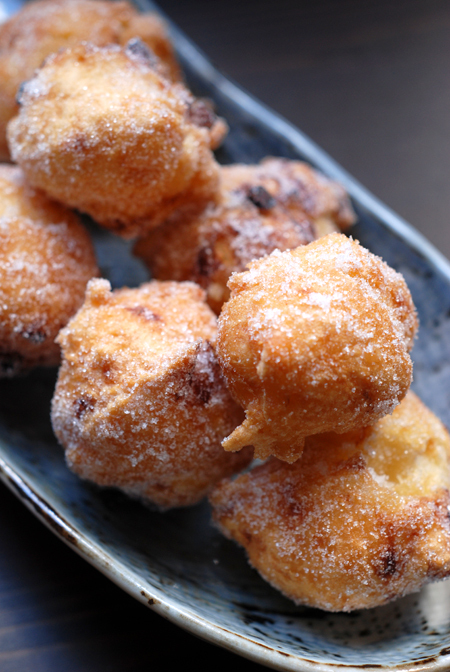 If serving raw, just dress them with a little extra virgin olive oil and lemon. Otherwise a quick dip in salted boiling water for a few minutes and you'll be able to use the agretti in a variety of ways - with pasta, in salads, frittata or as a filling in a pie or quiche. One of the best ways to appreciate them is as a side dish - simply sautéed with garlic and anchovy. 1. 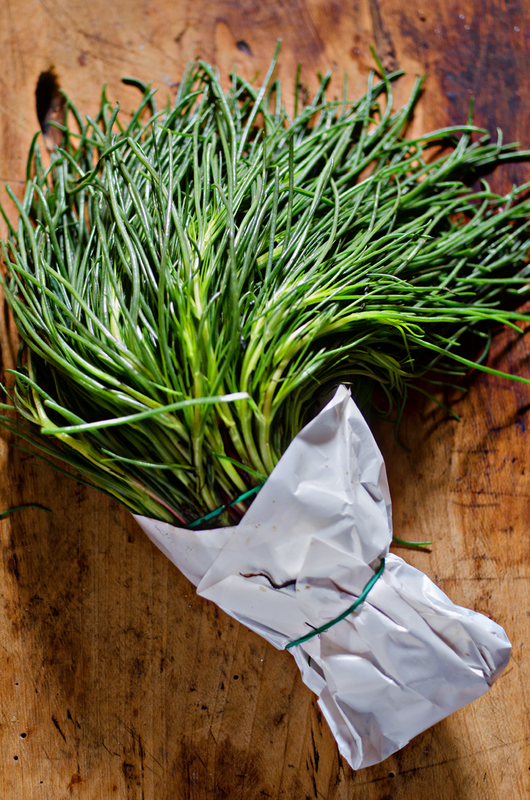 Clean the agretti - remove the roots and then rinse the agretti thoroughly to remove any dirt. 2. In a large pot of salted boiling water, add the cleaned agretti and boil for a couple minutes or until al dente. 3. Drain and plunge into a bowl of iced water - this will help set that vibrant green colour. 4. In a frypan over a low heat add a good glug of olive oil along with the garlic and anchovies - stir to break up the anchovy and then let it gently infuse - you don't want the garlic to colour, you just want it to flavour the oil. Optional - you could also add a little chilli at this stage. 5. After about 5 minutes, add the drained, cooked agretti to the pan and toss through the oil. Cook until warmed through. Remove the garlic cloves before serving. This is a great side to any meat or fish dish but you could also use this as a base of a frittata for a quick one pot meal.